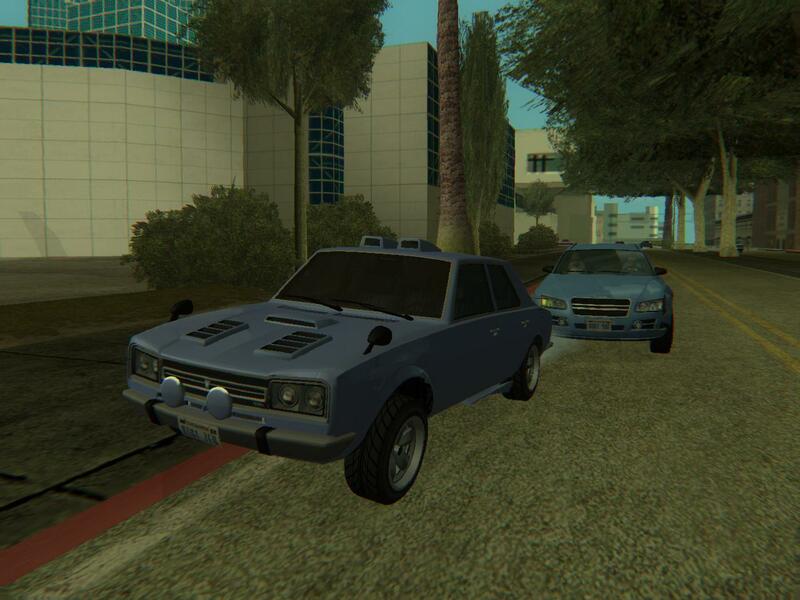 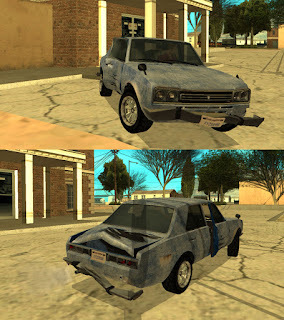 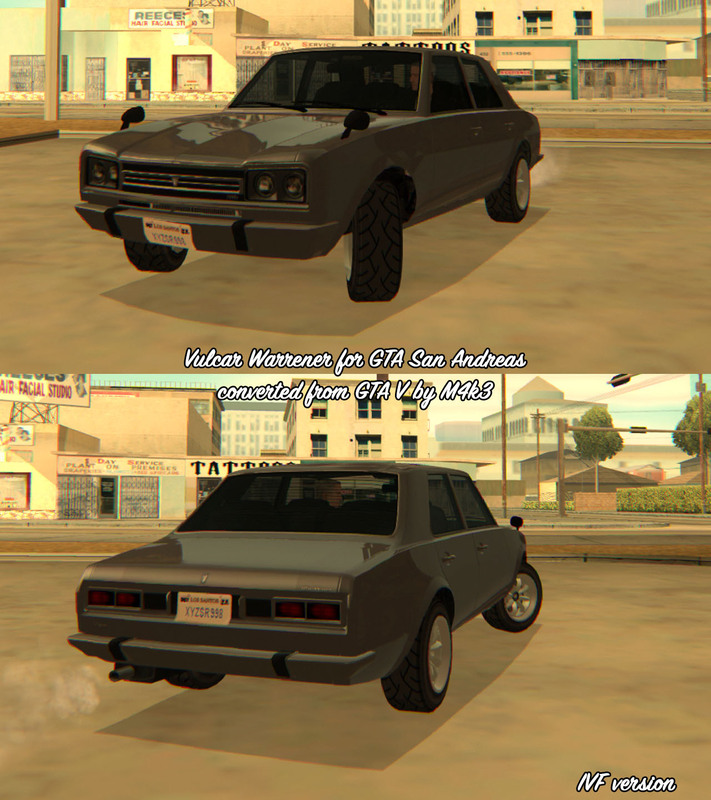 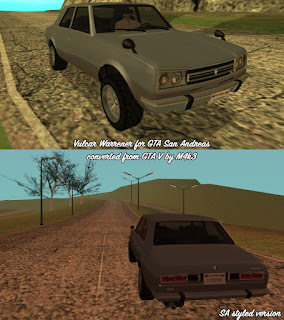 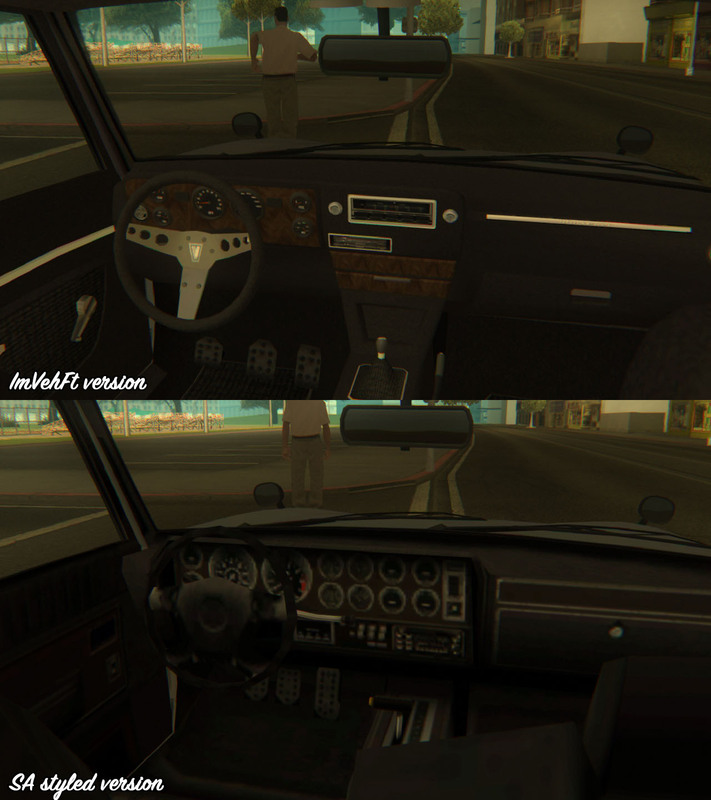 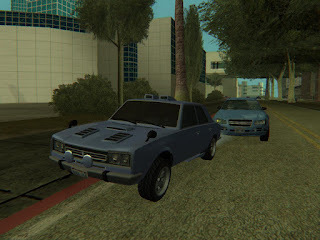 Vulcar Warrener from GTA V converted and edited to GTA San Andreas by M4k3. 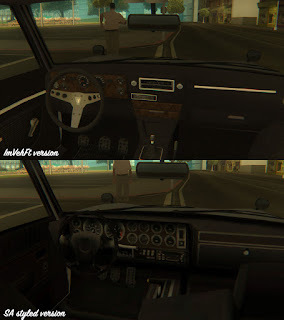 -Active Dashboard 3.2.1 support (speedometer, tachometer, gauges, odometer, digital clock and a window cleaner). 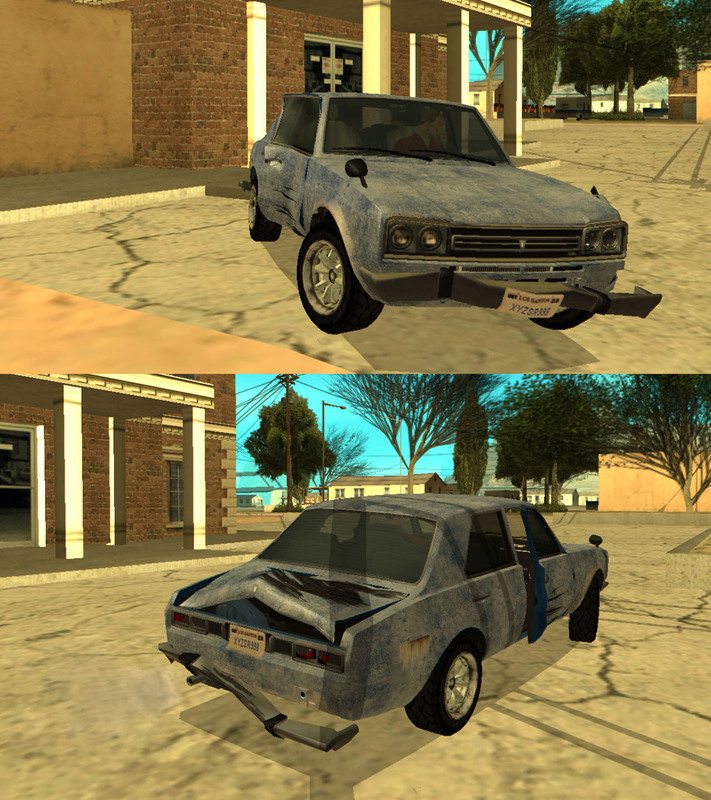 -Rusty paintjob with some extras in interior.